The straight cross reducer uses spiral bevel gear. The installation of the motor can achieve 90 degree bending and save the installation space. 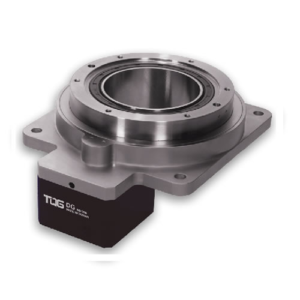 The use of integral needle roller bearings greatly improves the rigidity and torque. 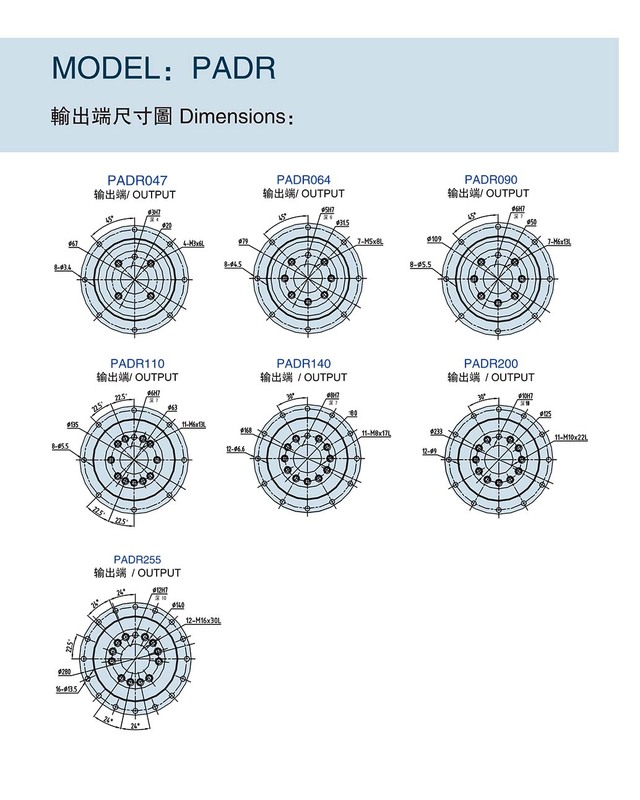 The PADR Series is a flange output right angle planetary gearbox which features of advantages of compact and high performance. The design of angle can save installation space. 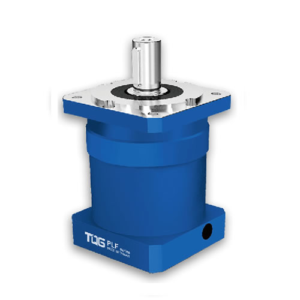 The output flange allows mechanical components such as pinions, pulleys, rotary indexing tables and drive shafts to be easily and directly connected to the output. This kind of design guarantees higher stiffness and torsion for improving the machine performance. The PADR series create a new standard for servo motor gear reduction applications which need additional torsional stiffness and high precision. The PADR right angle gearbox offers seven different frame sizes with ratios from 3 to 100. 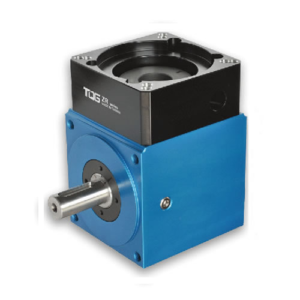 Compared with our competitors for the same frame sizes, including tapered roller bearings, our PADR gearbox has better radial and axial load handling features, so that can increase the rated value of each performance. PADR gearbox features a higher precision with backlash within 1 arcmin for one stage. P0 (micro backlash), P1(precision backlash) and P2 (standard backlash) are available for selection for your different application. It is widely applied in packaging machinery, filling equipment, metal forming, packaging machinery, and assembly automation systems. 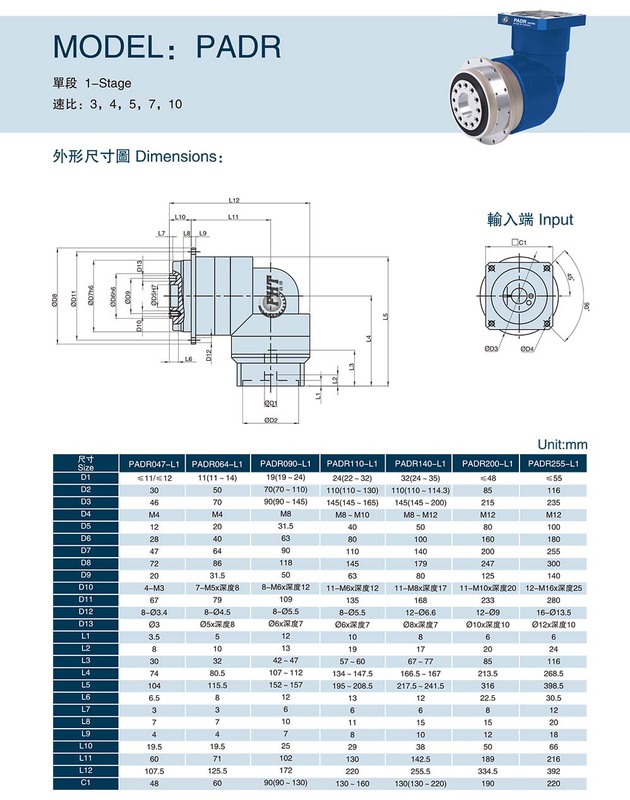 The integrated design of the planet carrier and output shaft improves torsional stiffness and accuracy. The entire structure is completed at one time, so that tolerance accuracy can be controlled. Planetary gears and sun gears are made of high-quality nickel-chrome-molybdenum alloy steel. Precision machined and carburized, and then precision tooth grinded or scraped ensure high gear accuracy. 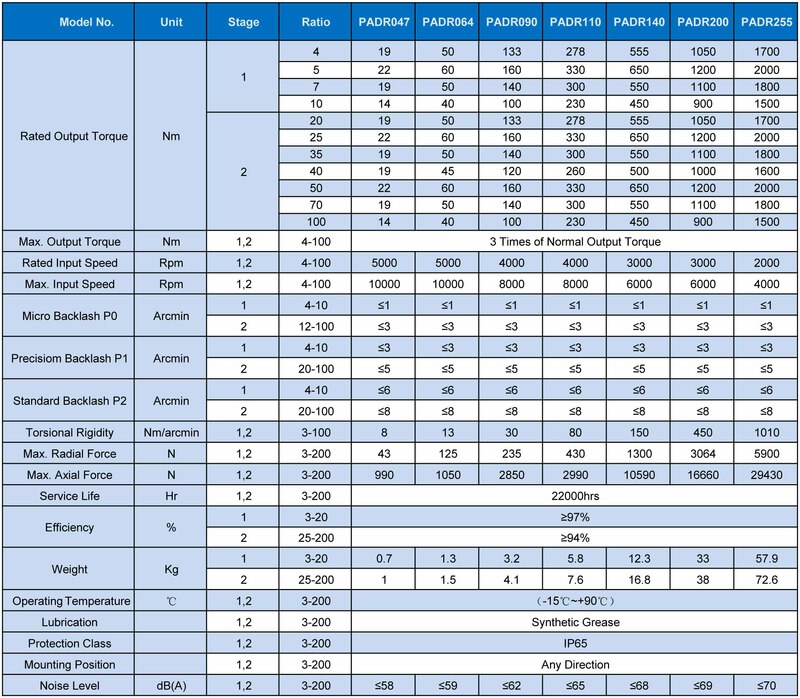 The special modular design of the motor connection board is applicable for any brand of servo motors. 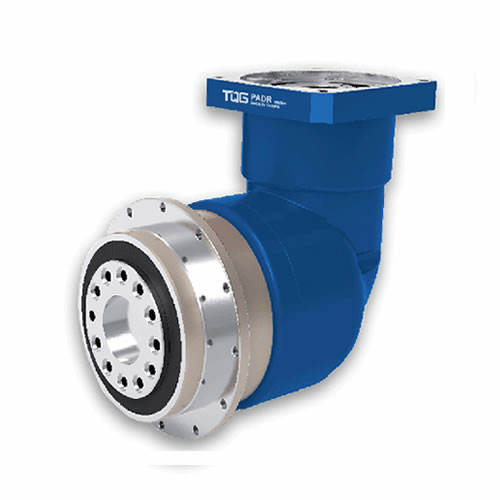 Made of aluminum alloy, the surface of gearbox is anodized to improve environmental and corrosion resistant capability. 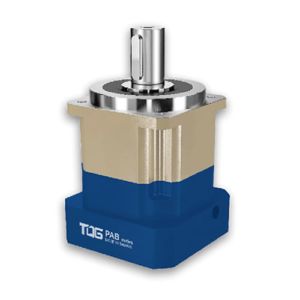 The modular designed input shaft and the motor shaft are coupled via a dynamic balanced collar clamping mechanism to ensure concentricity and high-speed zero slip transmission. The gearbox and the inner gear ring are an integrated design structure, which is made of chrome-molybdenum alloy steel and tempered to achieve high output torque. The surface of gearbox is treated for anti-corrosion to adapt the environmental resistance and corrosion resistance. 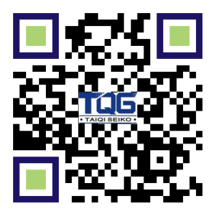 1.Standard TQG package either carton or wooden case according to the weight of speed reducer. 2. Customized package according to the unique requirement of customer. ● Standard type of gearboxes can be supplied from stock after we confirmed the payment received. 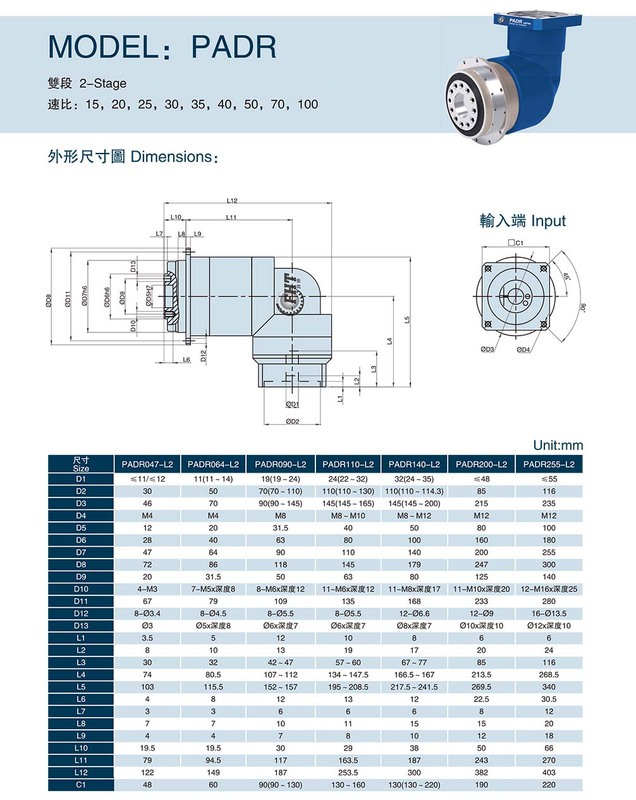 ● For custom gearboxes, usually, it will take about 30 days, if customer needs it very urgently, we will make a special arrange for production.